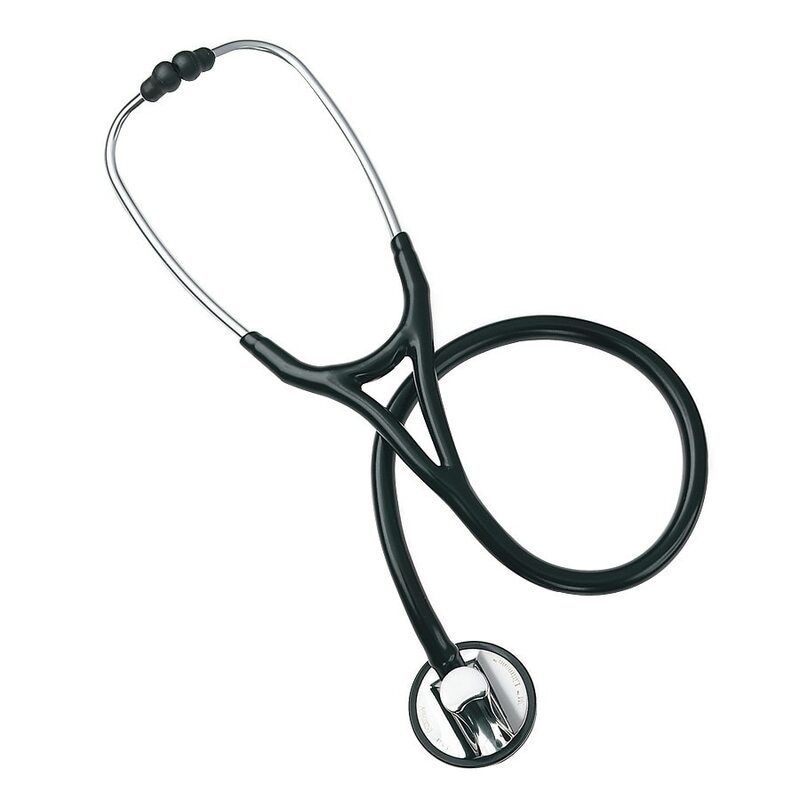 Known as the ultimate stethoscope, this masterpiece in one movement is designed to let you hear both high and low frequency sounds from a patented single-sided chestpiece. Features a handcrafted, solid polished stainless steel chestpiece, "two-tubes-in-one design," ligthweight headset, special procedures adapter for difficult site and pediatric auscultation, nonchill rim, double-leaf binaural spring and patented Littmann soft-sealing eartips. Includes a seven-year warranty. Length: 27". Latex-Free.